An enlightening look at one of America’s most beloved leaders, President George H. W. Bush, 41ON41 takes the viewer on an emotional journey as it reveals a remarkable husband, father, grandfather and friend through the eyes of 41 extraordinary storytellers. The film explores the policy decisions, bipartisanship, good humor and character that shaped his life, and marked his tenure as leader of the free world. 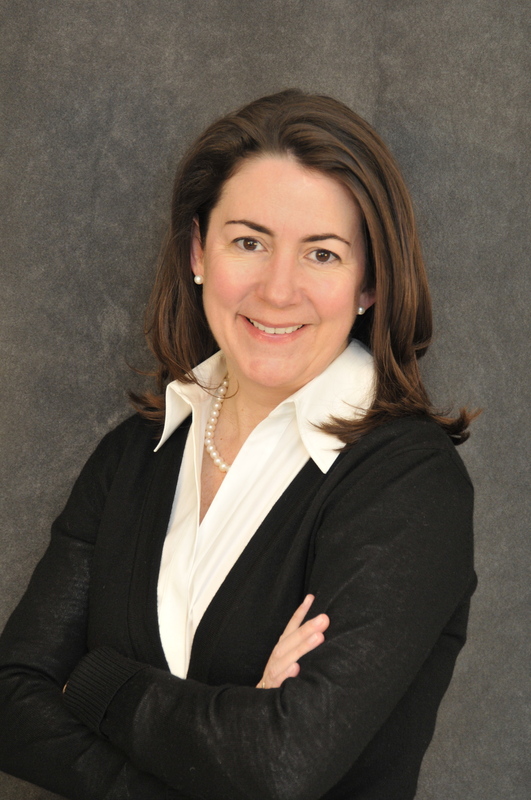 Mary Kate Cary is a former White House speechwriter for President George H. W. Bush, serving from 1988 to early 1992, and authored over 100 domestic and international addresses by President Bush. In the years since serving as a Presidential speechwriter, Ms. Cary was named a member of the advisory board to the George Bush Presidential Library and Museum at Texas A&M, meeting with President Bush several times a year for the last decade. She has ghostwritten a number of works related to President Bush’s life and career, and helped edit Speaking of Freedom, a collection of the President’s favorite speeches. Prior to working at the White House, Ms. Cary was senior writer on the Bush-Quayle 1988 campaign. She served on Bush’s staff at the 1988 Republican National Convention at the Superdome, all three presidential debates that fall, and the Inauguration ceremonies. Later, in 1994, she served as Deputy Director of Communications at the Republican National Committee. Her experience includes being spokesman for the United States Attorney General, managing editor of the political news service The Hotline, staffer for the ABC News program This Week with David Brinkley, and an aide to Congressman Hamilton Fish, Jr. (R-NY). Currently, Mary Kate Cary is a contributing editor and columnist at U.S. News & World Report, writing a biweekly column on politics, and is a regular political commentator on National Public Radio. Her work has appeared often on RealClearPolitics.com. She enjoys writing speeches for a variety of political and corporate clients. She has taught speechwriting classes at Georgetown University, American University, and Texas A&M University. Ms. Cary lives in Chevy Chase, Maryland with her husband Rob and two daughters. An esteemed name in the world of broadcast journalism, Rick Kaplan is producing consultant / senior executive producer for Fuse News. Kaplan has worked for the biggest names in news including CBS, ABC, CNN and MSNBC. Kaplan began his career in 1969 at CBS’s Chicago affiliate WBBM-TV before joining CBS News where he first served as associate producer of CBS Morning News, followed by associate producer of CBS Evening News with Walter Cronkite. In 1979, Kaplan joined ABC News where he began as senior producer for World News Tonight with Peter Jennings, before being named executive producer of ABC News Nightline, and then returning to World News Tonight with Peter Jennings as executive producer. Kaplan then moved to CNN-US in 1997 where he served as president of the network. In 2003, he returned to ABC News as senior vice president, until leaving in 2004 to become president of MSNBC, where he focused on creating new programming, and improving existing programs. In 2007, Kaplan returned to CBS, taking on the role of executive producer of the CBS Evening News with Katie Couric. Kaplan than joined ABC News as the executive producer of This Week with Christiane Amanpour, where he supervised all ABC News political coverage including the 2012 election. In the summer of 2012, Kaplan launched Kaplan Media Partners, a consulting venture focused on news and entertainment programs, for which, in addition to Fuse, his client list includes Aaron Sorkin’s HBO series The Newsroom. Rick Kaplan has been the recipient of countless awards, most notably 47 Emmy Awards, four Alfred I. duPont - Columbia University Awards and three Peabody Awards. Lookalike Productions is the collaborative effort of twin sister filmmakers Lisa Lax and Nancy Stern Winters, whose television and film productions have earned them a combined 16 Emmy Awards and a prestigious Peabody Award. Nancy and Lisa began their production careers at ABC Sports and NBC Sports / Olympics respectively. Their first Lookalike collaboration was the 2005 release of the award-winning documentary Emmanuel’s Gift. The film highlighted the courageous efforts of Emmanuel Ofosu Yeboah as he fought for the rights of his two million fellow disabled in Ghana, West Africa. Emmanuel’s Gift sparked a call to action. In July, 2006, Ghana’s Parliament passed a Disability Bill that had been ignored for decades, guaranteeing unparalleled rights for this long-overlooked community. In 2008, Lisa and Nancy directed and produced Let It Out: The Movie, a documentary film presented by Kleenex where Olympic legends, Olympic hopefuls and fans share their most emotion-filled memories of the Games, as never been told before. In conjunction with Sesame Workshop and Worldwide Pants, Lookalike Productions has completed three prime time specials for PBS: Coming Home: Military Families Cope with Change; Families Stand Together: Feeling Secure in Tough Times; When Families Grieve. Through their storytelling, Lookalike aimed to open the door for families with young children to deal with these life-altering issues. Lisa and Nancy also directed and produced Unmatched, a documentary film for ESPN’s prestigious series, 30 for 30. The film explores the intense rivalry and remarkable friendship between Chris Evert and Martina Navratilova; told through their eyes only. RISE had its’ theatrical premiere in a live event projected into over 500 theaters nation-wide. The United States Figure Skating Association commissioned Lisa and Nancy to produce and direct this documentary that commemorates the 1961 U.S. Figure Skating team that perished in a plane crash on the way to the World Championships, as well as celebrate the generations of skaters who came before and after that tragic event. In 2012, Lookalike produced and directed a documentary film with Harpo Studios about Oprah Winfrey’s Leadership Academy for Girls, which is an innovative high school whose aim is to discover, teach and inspire young South African girls to become a new generation of leaders. Lookalike’s most recent release, Pat XO, is part of ESPN’s documentary series Nine for IX that commemorates the 40th Anniversary of Title IX. The subject of their film is legendary basketball coach Pat Summitt and it premiered at the 2013 TriBeca film festival.